Want to learn more about earning an online GHG management certificate, but weren’t able to attend our webinar in December? Click the link below to watch the webinar that took place on December 19th, 2018. 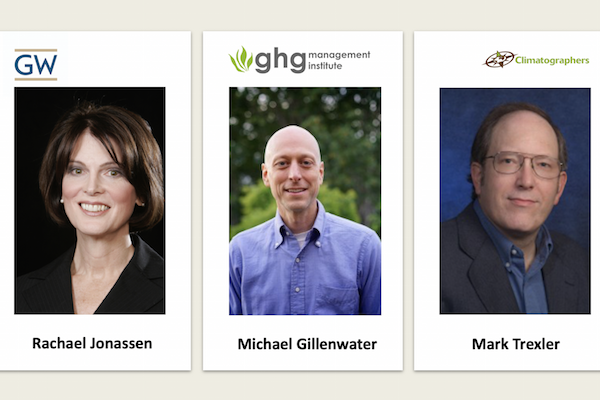 In this short 30-minute webinar, Michael Gillenwater (GHG Management Institute), Rachael Jonassen (George Washington University), and Mark Trexler (The Climatographers) gave an overview of the program and explained the courses being offered this Spring.